When most people think about hypnosis, entertaining acts where people are prompted to do ridiculous or funny actions is usually the first thing that comes to mind. But did you know that hypnosis is also clinically proven to provide therapeutic and medical benefits to patients suffering from certain conditions? Through research and studies, we’ve found that hypnosis is an effective means of treating a variety of conditions, including the reduction of pain and anxiety. In this post, we’ll take a look at what hypnosis is, its effects and the conditions or symptoms that hypnosis is known to treat. In reality, hypnosis isn’t really the popular depiction of a stage actor slowly speaking and swinging a watch back and forth to make a person do something absurd. To better explain hypnosis, it’s not the hypnotist who is hypnotizing the subject. Instead, the hypnotist is doing certain things to prompt a person into becoming hypnotized. The state of hypnosis is akin to increased suggestibility, heightened attention towards a specific task, and vivid fantasies. While people under hypnosis seem to be in an unaware state, they are actually the complete opposite. Trained therapists can use established techniques to perform therapy through hypnosis. How Does Hypnosis Affect you? Researcher Ernest Hilgard once carried out a study that demonstrated the effects of hypnosis. After hypnotizing an individual, he asked them to place their arm in ice water. The normal reaction would be to immediately remove your arm due to the pain. However, when instructed via hypnosis to not feel pain, participants would keep their arms in. This is where the effects hypnosis can be used for more important purposes than simply a stage act. However, effects tend to vary from person to person. Some individuals feel a sense of extreme relaxation and detachment, while others experience a lack of control over their actions. Other people tend to be able to remain fully aware of their mind state. The known list of conditions and symptoms that hypnotherapy is known to treat is fairly extensive. Chronic pain, arthritis, dementia, and ADHD are just some of the known conditions. Hypnotherapy is also known to help reduce pain during childbirth, dental procedures, and chemotherapy symptoms such as nausea and vomiting. Certain skin conditions such as psoriasis and warts have been eliminated or reduced through hypnosis as well. Hypnotherapy has also been found to help with common behavioral issues or addictions such as smoking, bed-wetting, and weight control. Many expert hypnotists also use their knowledge of hypnotism techniques to help people in other aspects of life. For example, Hypnotist Richard Barker offers the ability to help with sports performance enhancement, memory recall, and public speaking proficiency, among others. What Theories Exist Around Hypnosis? Coming back to Ernest Hilgard, his theory is perhaps one of the most popular. According to Hilgard, hypnosis is defined by experiencing a split state of consciousness, where there are two separate streams of mental activity. The one stream responds to the hypnotist’s suggestions, while the other processes information outside of the subject’s awareness. 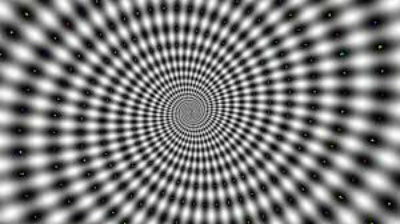 Research suggests that most people are more hypnotizable than they think. Children are more susceptible, while around ten percent of adults are considered difficult to hypnotize. People who are more easily absorbed in abstract thought tend to be easier to hypnotize, while fifteen percent of people in general are considered highly susceptible. People who approach hypnosis with a more open, positive mindset tend to be more successful in undergoing hypnosis. This means that if you want to become hypnotized, it’s better to approach the experience as something that will work for you. This makes it easier for the effects to work on your mind. Of course, with popular media and culture today, there are a number of myths or misunderstandings surrounding the idea of hypnosis. Perhaps most popular is the myth that you won’t remember anything once you regain consciousness. In extremely rare cases, amnesia has occurred in some people. However, most people remember everything that happened during the time that they were hypnotized. In most cases, any detrimental effects to memory are only temporary. Another popular myth is that hypnosis can help you develop an inhuman ability to recall past events, such as crimes. This effect is generally exaggerated by media. But it’s worth noting that hypnosis can indeed help enhance memory, but results are hit or miss. Hypnosis can actually result in inaccurate or false memories. Another myth popularized by media is that hypnosis can be done against your will. This is not true, as it relies on your voluntary participation. Some people also believe that hypnosis results in the hypnotist having complete control over your actions. Again, your participation and willingness is required in order for anything to happen. Finally, while mental and physical performance can be enhanced through hypnosis, this effect is limited to your own existing physical capabilities. As much as we’d like to get hypnotized and suddenly become a superhero, this is only possible in movies. While we now know that hypnosis won’t allow us to exceed our own physical limitations, it is possible to enhance our abilities in a number of ways through hypnosis, especially when it comes to sports. Professional athletes and teams often call this guided imagery. The use of hypnosis for sports has a number of potential benefits including reinforcement of established goals, relaxation and reduction of nervousness, stress management, improved concentration, increased motivation, heightened bodily awareness, pain reduction, and an improved ability to eliminate distractions. These same effects can be transferred to other aspects of life, such as with students and learning. Hypnosis can help improve concentration and reinforce the ultimate goal of what we’re doing. This is important, as the main reason we underperform is a lack of interest or drive to take the necessary steps to achieving our ultimate goal. As you can see, hypnosis and hypnotherapy have great utility outside of entertainment. Whether you’re suffering from a certain condition, looking to improve in sports or studies or simply looking for a means of increasing your motivation, perhaps hypnotherapy is the answer.